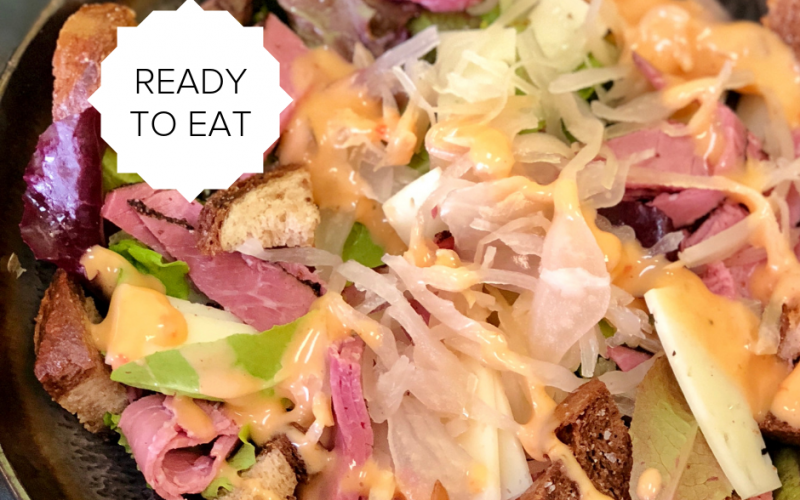 Rye croutons, corned beef, deli swiss, Dorothy Lane Market’s fresh barrel sauerkraut, housemade Thousand Island Dressing, sunflower seeds, and greens. Cheers to a fun take on some classic flavors! Packed in individual, ready-to-eat servings with dressing on the side.